Get your tickets to one of Regina’s hottest summer festivals. Adults $10 | Kids 12 and under get in free. Rain or Shine Event, Lineup Subject to Change, No Refunds/Exchanges. WARNING: AfroFest Is contagious. May cause uncontrollable dancing & joy! 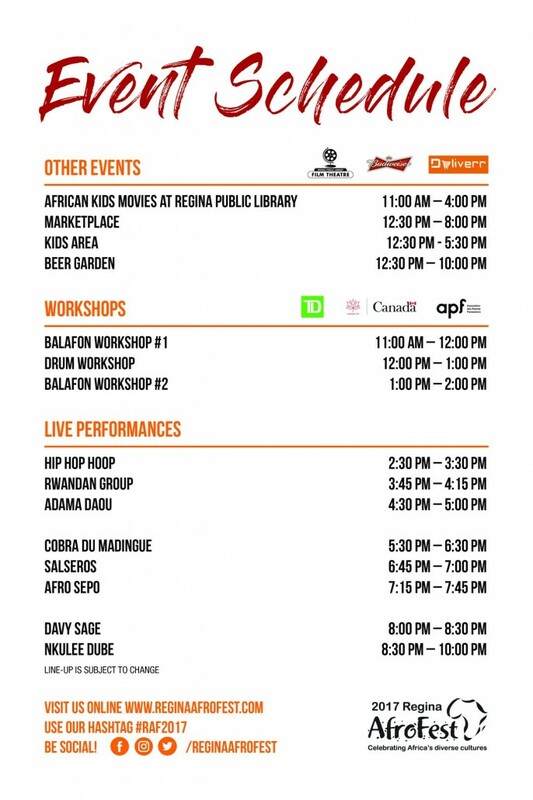 It’s not too early to start thinking about where you’re going to crash for Regina AfroFest. We’ve partnered with DoubleTree by Hilton, Regina to help you book your hotel accommodation at a discounted rate. Limited spots available. Book your hotel now! 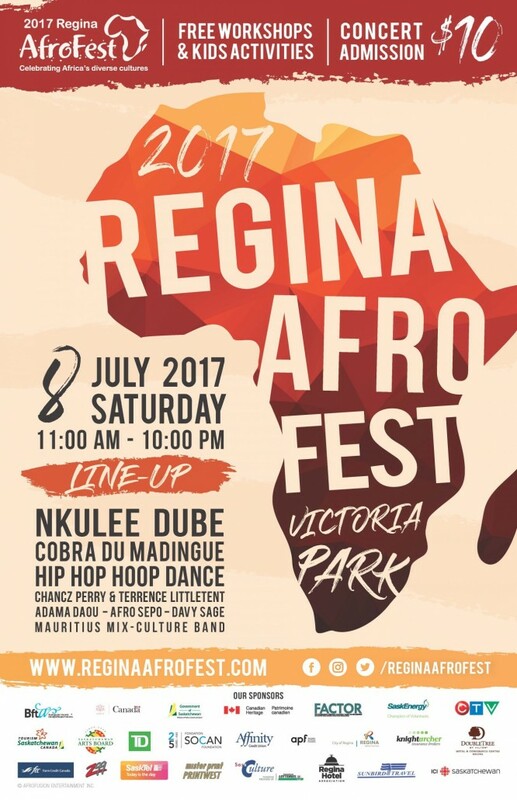 The Regina AfroFest annual event is held in July. We aim to put on at least two other fundraiser activities in the course of the year. Be the first to get the latest updates on our upcoming events: Follow Us on Twitter, Like Us on Facebook. Stay tuned for more awesome events coming your way!